The demand for transformative change in cities has never been higher, and it continues to grow in regions around the world. There is a new realization that in the future, cities will need to be very different than in the past. If public “places” – squares, markets, waterfronts, streets, etc., and the process of “Placemaking” – become the major focus of urban development in the future, we believe the trends of the last half century, which have proven unsustainable by every measure, can be reversed. Because PPS is tapped into communities worldwide and is working with people actively engaged in making changes to many different types of public spaces, we think that the time is now to develop an agenda that collectively leads to a new way of thinking about cities. We believe that by reorienting our planning and design process to be around people and places, we can best meet the many modern goals of cities and make the process of getting there a lot more fun and creative. 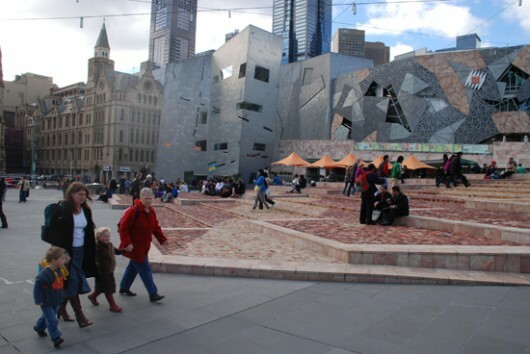 “Placemaking” is a powerful agenda for change that is beginning to take hold in cities throughout the world. Placemaking however, is not a new profession, discipline or field of study, but a growing global movement that is bringing out the best of professional knowledge and skills, while supporting process that empowers and challenges local communities to take ownership over the planning process and the emerging results. Placemaking is about making your community a great place to live and reversing these trends that have reduced our social and physical health and led us to unsustainable ways of living. The following are the four Transformative Agendas which we feel have the greatest potential to leverage change.